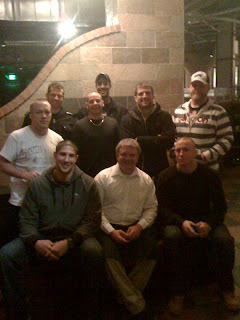 Here we are at dinner near Greeley after Wrestling practice. I just got home and man, I am tired. Tomorrow morning I'll be Hitting mitts with T and drilling with GSP.